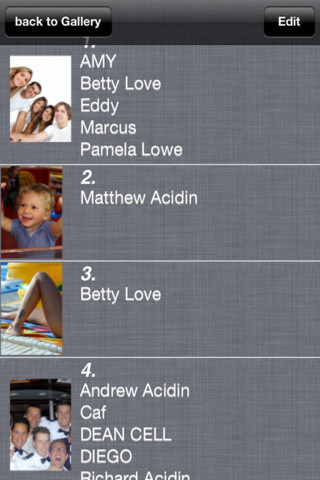 TaggyDial lets you pair pictures of your friends and family with contact information already available on your iPhone by tagging faces in the pictures. Afterwards, you can just tap the face you previously tagged to call that person. This iPhone app tries to make use of all the photos you already have on your device and lets you magically call a person by tapping on its face in a photo. Well, it’s not really magic, because you have to manually add photos to the app, tag each person in the photo and pair it with one of your contacts or create a new one. 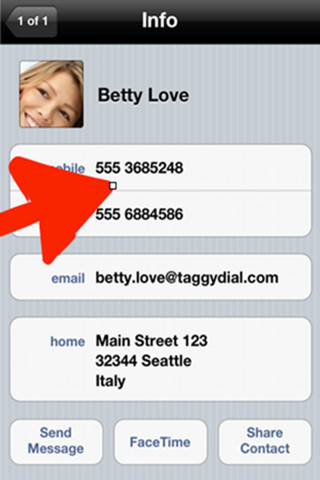 Then, when you want to call your friend Bob, launch TaggyDial instead of the Phone or Contacts app and tap a picture and then tap your Bob’s face to bring up his contact card. Tap the number you want to call and you’re done. You can also have more than one contact in a photo. This works great for group photos you took at a party or at a class reunion. Just be sure to tag each person and pair it with their respective contact information cards. As long as that contact card contains all the information you need, you can not only call, but also email, send SMS or launch a Facetime call. The app sounds good in theory, even though skeptics will immediately find flaws in this process, and it also works as expected in practice. But does it solve the problem? And firstly, what is the problem? Well, the problem is that the Contacts app that comes natively with your iPhone may not be enough for most users. It may not be complex enough for some or graphical enough for others. But it surely works as expected. Open the app, find the contact, tap their number to call. If that’s not enough, you have some small organizational features that you can make use of, like adding some people’s numbers to your Favorites, for easy access. Adding a new contact may also be, for some, a cumbersome process. With all these in mind, TaggyDial tries to tackle the problem. 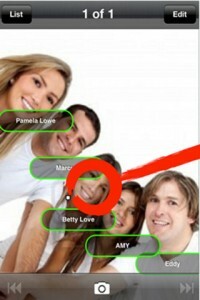 Speed dial a person, recognize it by a picture, not by names and enter information faster in your address book. But TaggyDial complicates a simple tap-tap action. I have set up my contacts just the way I like them. People I always call are in my Favorites, literally two taps away from any screen on my iPhone. People I talk with most often will most likely have called me in the last few days, so I am bound to have their number in my Recents. Again, literally two taps away from any screen. The other people in my contacts list, I rarely speak with so I see no need to have them on any speed dial anyway. Then, there’s Siri and it can call any number or any person by name if you tell it to, without you having to touch any button whatsoever. Now that’s speed-dialing. But it’s only available, for now, on the iPhone4S. And then, you have TaggyDial, which requires you to take or upload a picture of someone, tag that person and pair it with a contact information card on your phone (already extra work), and when you want to call it, open the app, find the picture of that particular person you want to call, tap that, tap the face you previously paired, get the contact card for that, tap the number to dial. How many taps was that? I lost count. 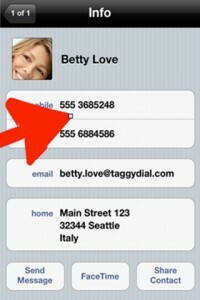 Pitching itself as a speed dial app, I think TaggyDial will appeal to some but may mislead most. As they say, there are dozens of press-the-picture-to-dial-a-number apps in the AppStore, all with flaws and complications. But TaggyDial is not the answer in my opinion. It may be fun to show it off to your friends, but not as useful as the Contacts app. What do you think of TaggyDial ? Scroll down for our comment section and let us know! Sure that would take less effort, impressive app!